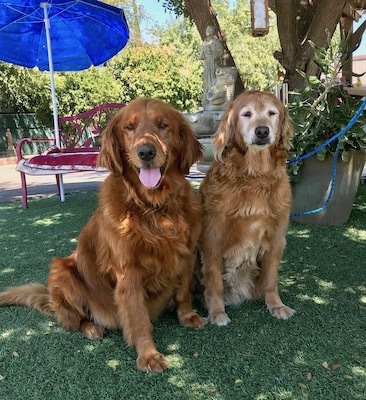 This is Bailey on the left, the darker Golden. He is 7 years old. Princess is on the right and she is 8 years old. Both have great temperament and walk well on a leash. They are a bonded pair that needs to stay together. Their owner did not have tome to care for them. Bailey and Princess are looking for a loving home.